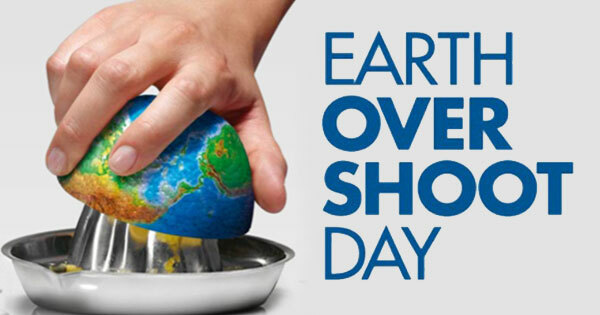 Last week, on August the 1st, was Earth Overshoot Day. A day not as happy als the name might suggest. Earth Overshoot Day marks the date when we (all of humanity) have used more from nature than our planet can renew in the entire year. In 2018, it fell on August 1. We are using 1.7 Earths a year. Each year, the Global Footprint Network calculates the exact date of the Overshoot Day – and each year it falls earlier than the previous year. Read all about it on overshootday.org or and on footprintnetwork.org.